The major changes during pregnancy include a shift in weight bearing and movement patterns, which place extra pressure on the spine, muscles and other soft tissues of the body. It’s no wonder that approximately 50% of pregnant women experience significant levels of back or pelvic pain during their pregnancy. Thankfully, chiropractic care has been shown to help relieve these symptoms in up to 85% of pregnant women, eliminating the need for pain-relief medication that may not be ideal for baby’s health. A comfortable and pain-free pregnancy is certainly desirable, as is a healthy labour and delivery. As the baby progresses into the birth canal, it is important that the mother’s pelvis is able to facilitate the delivery. By maintaining proper pelvis and spinal alignment and function with chiropractic care, research has shown a 24% reduction in labour time for first-time mothers, and 39% reduction for experienced mothers. Another study found that patients who incorporated chiropractic adjustments during their pregnancy had a 50% decrease in the need for painkillers during delivery. 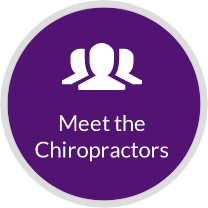 At First Chiropractic, we check the spine and nervous system to make sure it is free of joint and nerve dysfunction. By balancing the joints of the pelvis, we can ensure that babies have the best opportunity to move into the ideal birthing position. With a healthily functioning nervous system, uterine function would be optimised to promote a straightforward labour. If you’re interested in a more comfortable pregnancy or decreased labour time, call to book a complimentary assessment. Our chiropractic techniques are gentle and effective, and thanks to our pregnancy-specific tables and cushions you can still lie comfortably on your stomach!